The Bluffs Marina - Jupiter Florida Dockominiums, Boat Slips for Sale & Lease. We have a limited number of boat slips available for sale or lease. 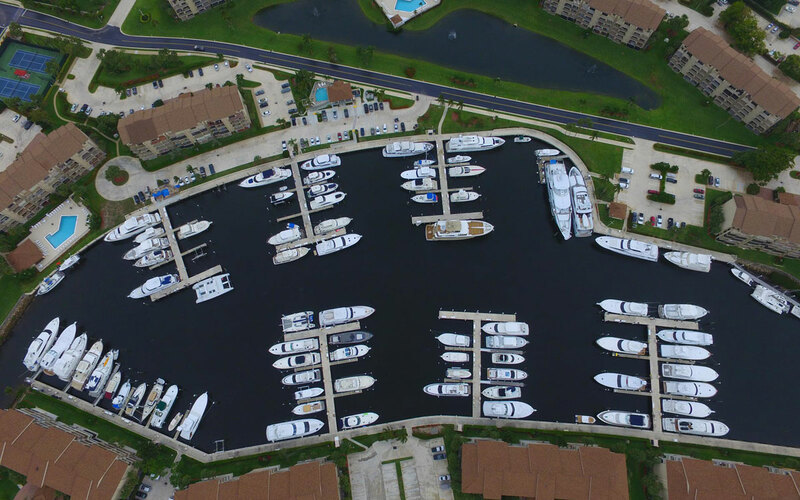 What other marina can offer a supreme Palm Beach area location close to all the action... great golf and tennis, world-class fishing, restaurants, theater, equestrian training facilities, premier shopping, yet bring you back to peace and quiet in a serene Jupiter setting? The Bluffs Marina. The Bluffs Marina is a hurricane safe facility in a supreme Jupiter location, close to shopping, dining and walking distance to the beach. We are close to fantastic golf, tennis, fishing, equestrian facilities and a variety of theater. As a full 'live aboard' marina, we make a great vacation location or part time or full time home. Our centralized location and proximity to all points, including the Bahamas, the Keys and Florida's west coast via the Okeechobee Waterway, makes us a great home port for your vessel. Secure your slice of paradise with ownership in a Bluffs Marina Dockominium. Our slips are 'fee simple', and have a recorded deed and title insurance; Waterfront real estate, at it's finest. For Florida Dockominiums and Boat Slips For Sale or Lease, Please Call (561) 627-6688.